Pacific Views Resort is located just a few steps away from the beach. 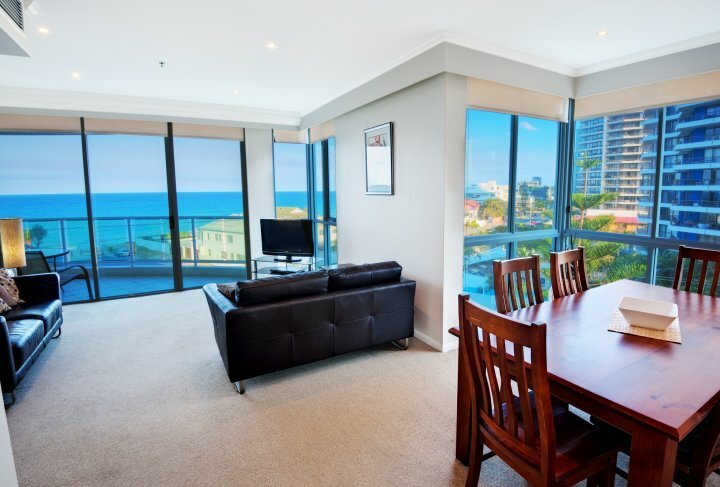 The modern 1 & 2 bedroom fully self contained apartments all boast east facing balconies with ocean views leading off the open-plan living, dining and kitchen area. 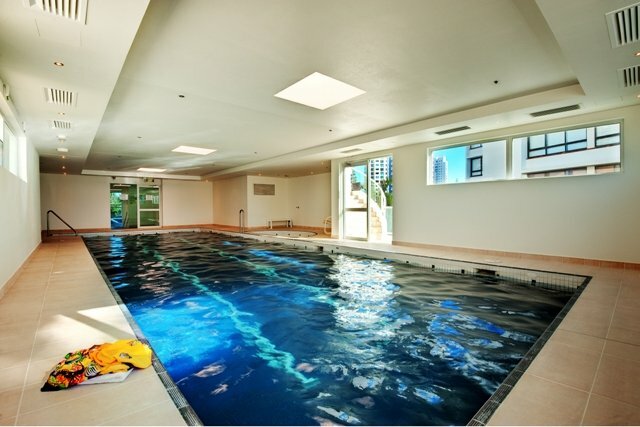 With fully ducted air-conditioning, these contemporary apartments present a refreshing home away from home. 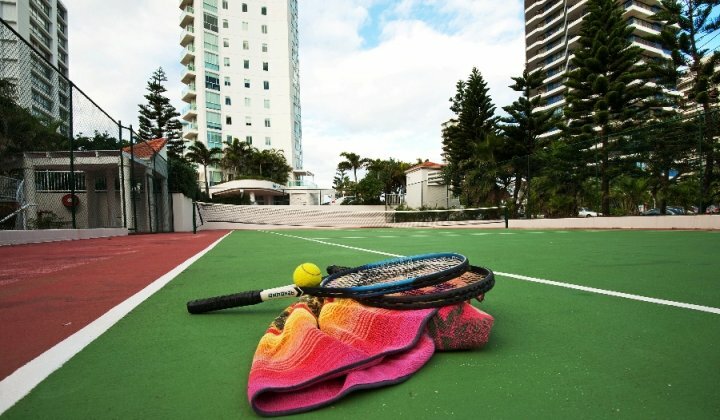 The resort features an outdoor pool as well as indoor heated pool, spa, sauna, fitness room, full tennis court, BBQ facilities and a games room. 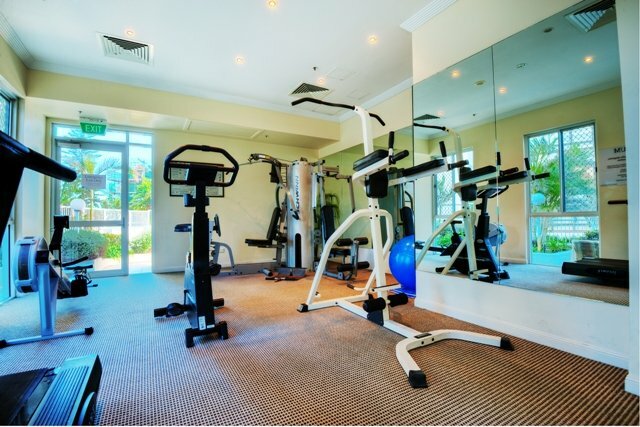 All apartments feature free wireless internet access. Please note Bookings to arrive on the same day will not be accepted after 12pm Monday to Friday and 11.30am Saturday and Sunday. We do not accept arrivals or departures on Christmas Day. 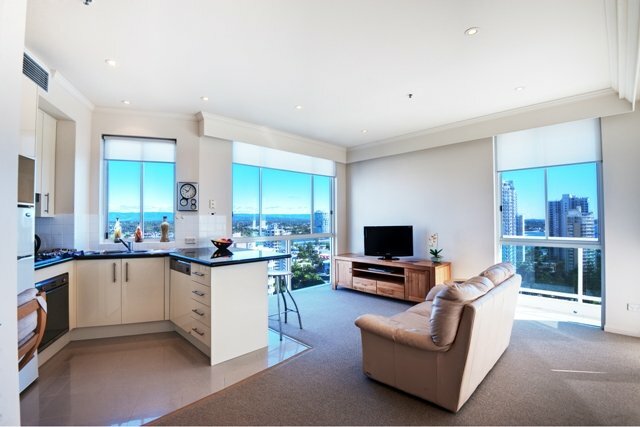 1 Bedroom fully self contained apartment located on level 7 & above. 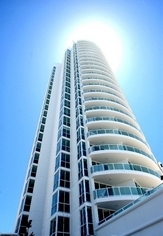 Full kitchen, laundry, balcony, ocean views & free WiFi internet access. Same day bookings accepted until 12noon ONLY. 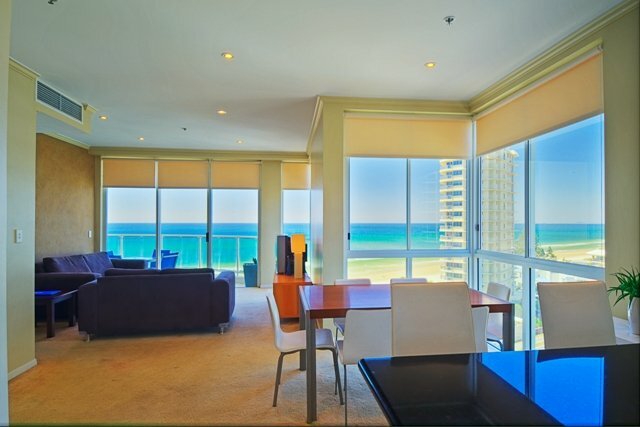 1 Bedroom Ocean View - 3 Nights + Stay 4 Nights Pay 3! 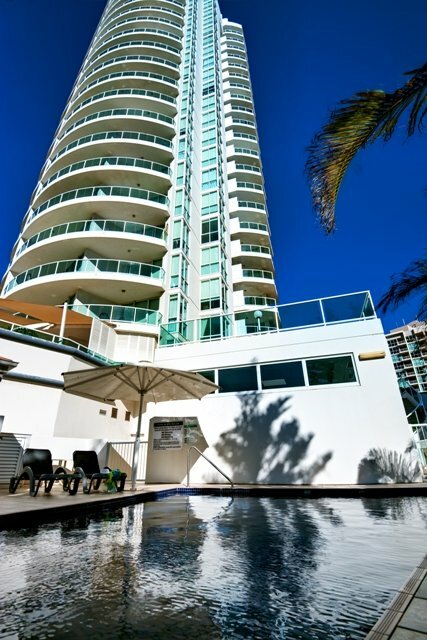 1 Bedroom fully self contained apartment with balcony, ocean views, full kitchen, lounge, dining and laundry. 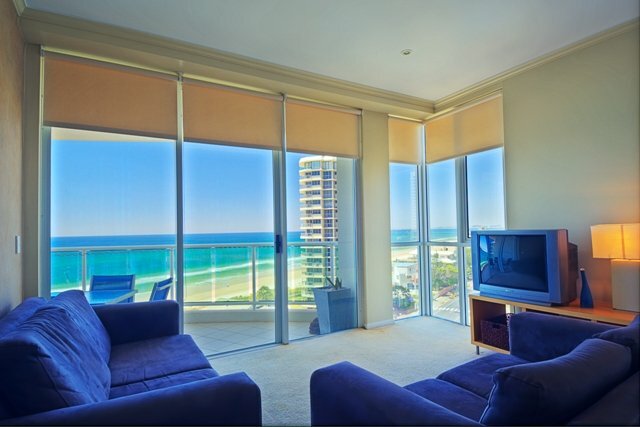 1 Bedroom Ocean View - 5 Nights + Stay 7 Nights Pay 5! 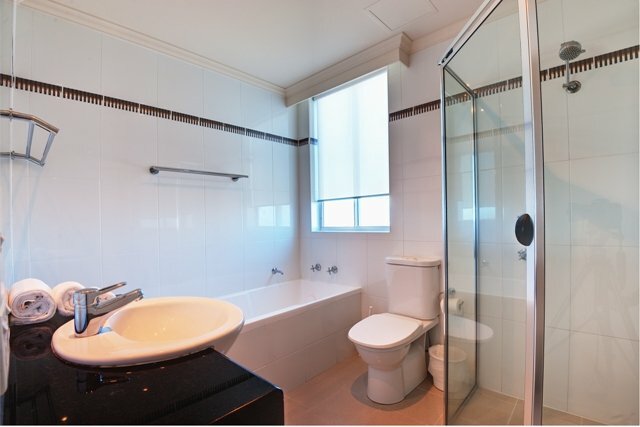 2 Bedroom fully self contained apartment located on levels 3 to 5. 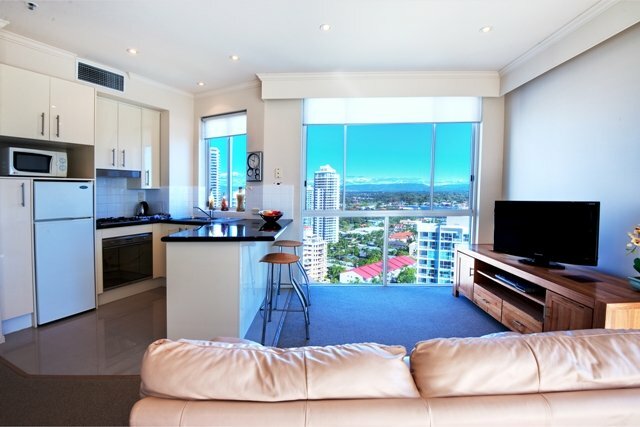 Kitchen, laundry, balcony, beach views, ensuite, main bathroom & free WiFi access. Same day bookings accepted until 12noon ONLY. 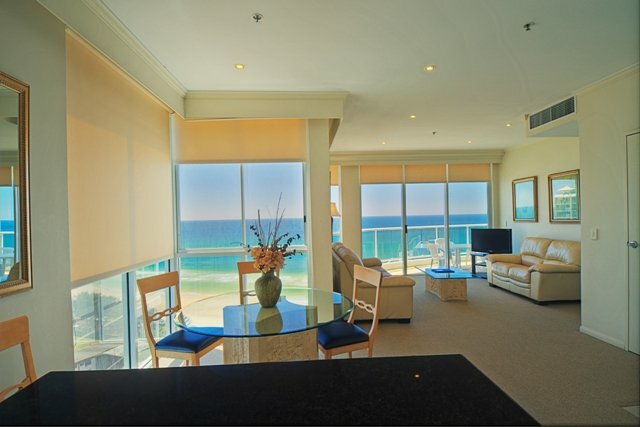 2 Bedroom Ocean View - 3 Nights + Stay 4 Nights Pay 3! 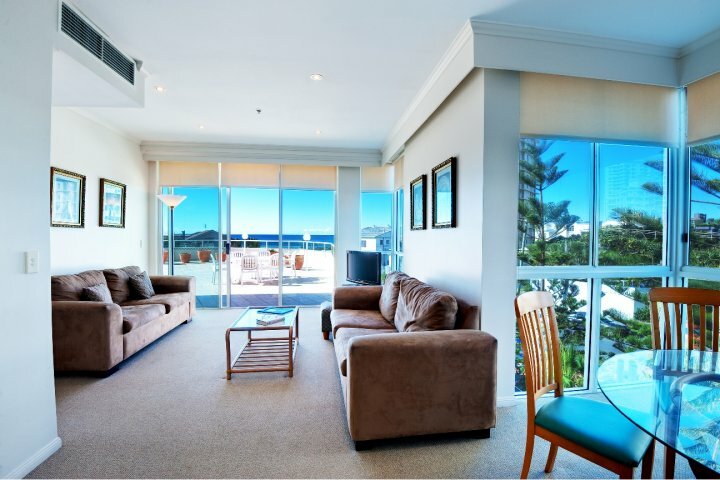 2 Bedroom fully self contained apartment with large balcony, ocean views, full kitchen, lounge, dining, laundry, ensuite & main bathroom. 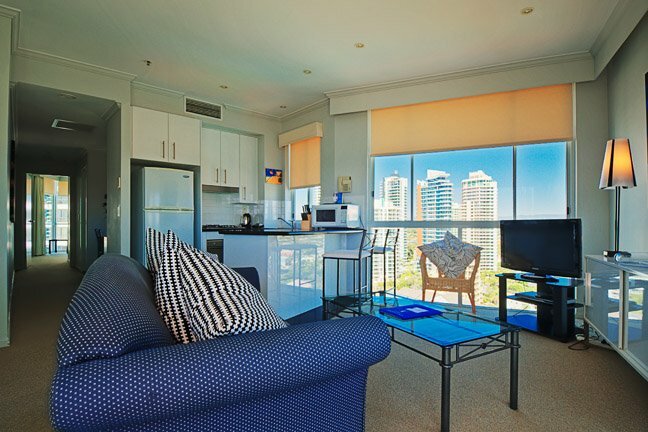 2 Bedroom Ocean View - 5 Nights + Stay 7 Nights Pay 5! Visa or MasterCard Security deposit required upon check in otherwise a cash bond is required. Guests checking in must be over 18 years of age & have a valid credit card (debit card not accepted) & photo ID on arrival. For after hours arrivals just follow instructions on the security panel at the front door, night service will take credit card details. Bookings to arrive on the same day will not be accepted after 12pm Monday to Friday and 11.30am Saturday and Sunday. 1 Extra guest allowed per room. Extra person charge is $35.00 per night. Cot/crib hire also available for infants (0-2 years old inclusive) at additional $10.00 per night. Secure under cover parking free of charge. We are located approx. 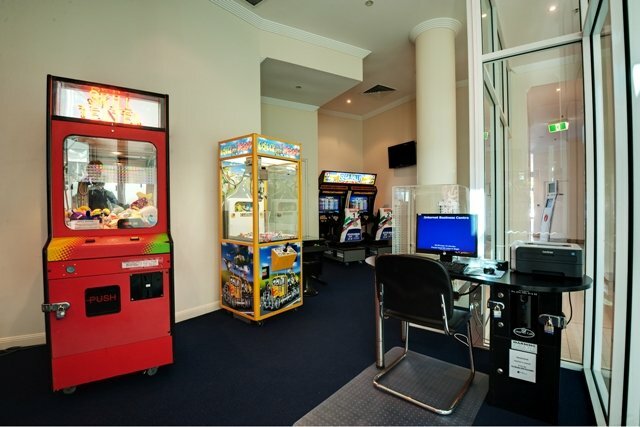 1 hour from Brisbane Airport and approx 40 mins. form Coolangatta, please contact us if you require transport from either airport and we can arrange for you either coach or limousine transfer. If you prefer arrangements can be made by us for a rental car. Within a short stroll of Pacific Views Resort you will stumble across Tedder Avenue where you will find designer boutiques, casual living shops, banks, eateries, coffee shops and much more. Head down The Spit' and you will find The Southport Yacht Club, Marina Mirage and Mariners Cove where many waterway cruises depart and designer boutiques, superb dining and spectacular views of the Marine precinct and Gold Coast Broadwater. Across the road from Pacific Views is Main Beach where the swimming area is patrolled year round by the local surf club, where you can dine all day or just relax by the sound of the waves with a quiet beverage. 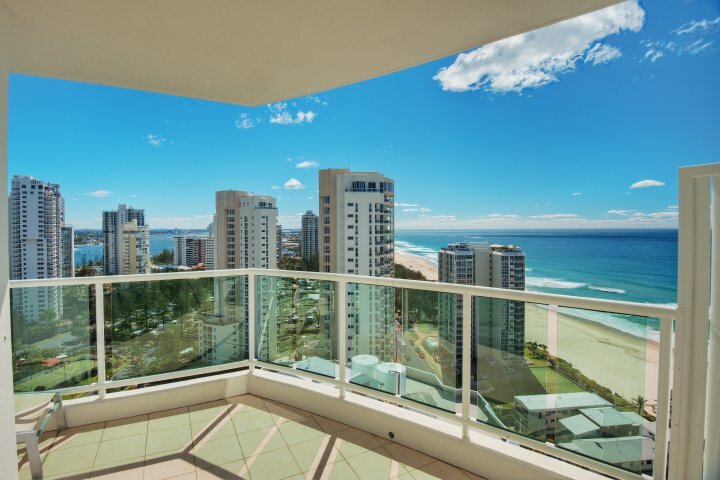 Take a relaxing walk along the beachfront walking path which will lead you into the heart of Surfers Paradise or head the other way through the parklands of The Spit' and wander back at your own pace along the golden sands wading your feet in the refreshing waters.